Shane is leading a guided tour. 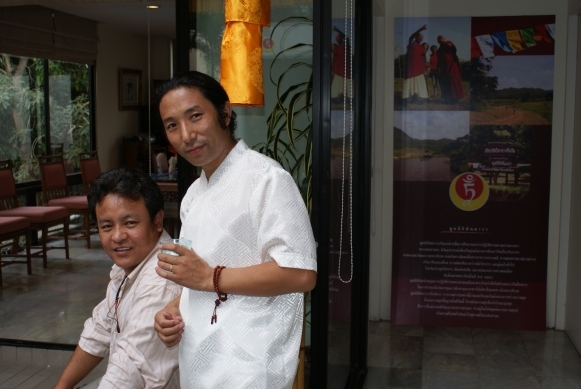 Yontan and Ujab, his Amdo friend. 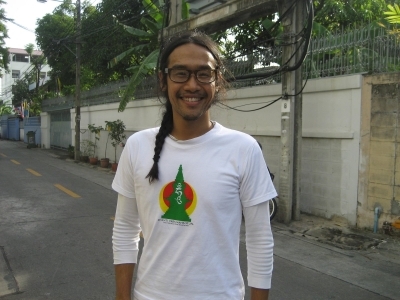 Ujab just finished his study at the AIT and will soon return to China. Jakrit is looking at his amazing creation. Bo proudly presents the Shanti Tara t-shirt. Dr. Woody is in his cheerful mood. 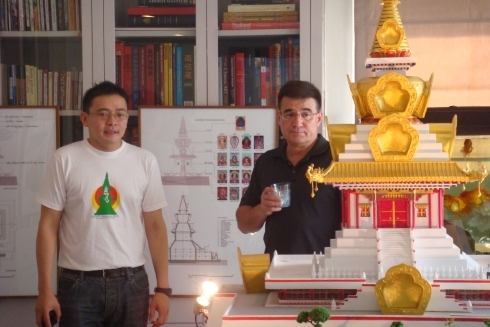 Kris is introducing Khadiravana to Ajarn Thepmontri, an expert of Khmer art who manages Bangkok’s Museum Shop and a columnist from Dharmaleela, a Buddhist newspaper. 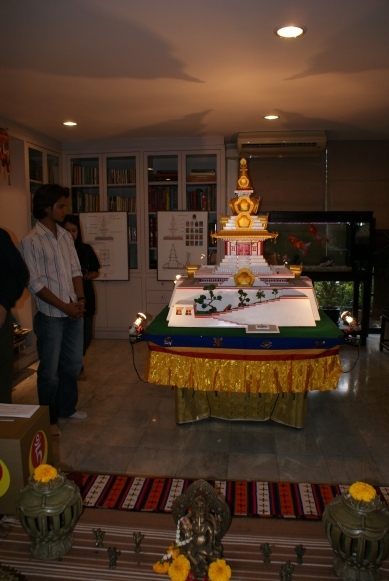 Lek introduces the stupa to Khun Tirawat Sucharitakul. 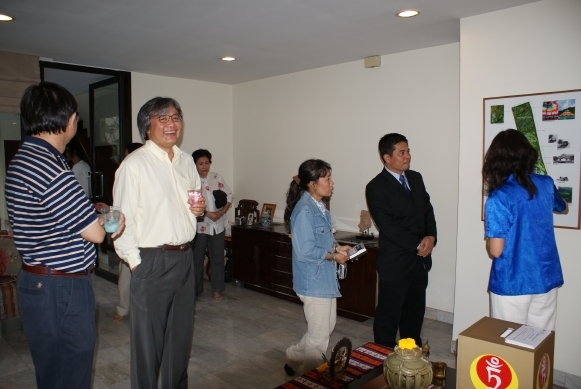 Khun Tirawat is an adviser to the Office of Her Royal Highness Princess Maha Chakri Sirindhorn. 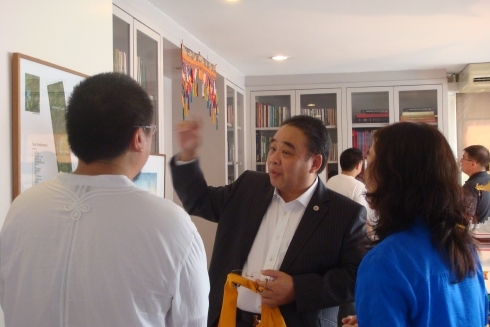 Khun Tirawat shares his experience with us.